Not only rituals that are directed to healing illness, but other more general rituals may have a beneficial emotional or psychological effect on participants. Life crisis rituals and rites of passage deal with important crises or transitions in life which necessarily have personal meaning, and can stir up emotional conflict (Herdt, 1981, 1982). Victor Turner (1967) has written extensively on such rituals, and his formulations on ritual symbols are helpful in thinking about the personal issues dealt with in the ritual as well as the social issues of the transition. An especially helpful concept is his notion of the "bipolar symbol": that ritual symbols have both an "ideological pole," which represents important social values asserted in the ritual, and an "orectic pole," an aspect of the symbol that (often in a vivid way) calls up desires and emotions which may either reinforce the social values represented by the symbol, or be at odds with them, but which are in any case often unconscious. This concept is of great value in enabling us to understand the emotional import of a ritual, and the way it helps the celebrant deal with emotional issues stirred by a transition (cf. Ewing, 1992). It may be extended to thinking about the relationship between the explicit cultural value expressed in a myth and fantasies which may be unconsciously embedded in it (see Bettelheim, 1975); or indeed to any cultural product created by an individual or transmitted by individuals. The way in which ritual may support emotional processes is especially evident in rituals of mourning. Several anthropologists have examined the ways in which ritual and cultural attitudes toward death support (or impede) the work of mourning (Bateson 1968; Levak, 1979; Reid, 1979). Beth Conklin discusses how the endocannibalistic funerary rites of the Wari Indians of Brazil work. She appropriately rejects the stereotyped "Freudian" explanations of some self-styled "psychoanalytic" folklorists of the old school such as: "Aggression. It's all about aggression. Every time you put something in your mouth, it's aggression" (Conklin, 2001, pp. 93-108). Then, after developing Wari ethnopsychol-ogy and their ideas about grief, ghosts, and the dangers of dwelling on memories, she gives her own interpretation of how the mourning ritual helps the bereaved person to come to terms with the loss (pp. 228-239)—an interpretation which, despite her protests, is a very psychoanalytic one. A concept which has been of great utility to the psychoanalytic understanding of ritual is Melford Spiro's (1961, 1965) concept of "culturally constituted defense mechanism:" Certain social forms, from a custom to an entire social institution, may provide ways for individuals to deal with particular emotional conflicts: they are, as it were, social forms which are especially adapted to serve as as personal defense mechanisms in the inner handling of those emotional issues. Spiro first introduced this concept in discussing Freud's (1914) suggestion that political institutions like the taboo on touching sacred chiefs, may be a way of simultaneously expressing and defending against the ambivalence all followers feel toward their leaders, or that mother-in-law avoidance may be a way of managing incestuous sexual desires in the family (Spiro, 1961). He developed the concept more fully in an article analyzing the psychological functions of Burmese monasticism (Spiro, 1965). George Pollock (1972) drew on Melford Spiro's (1965) concept of a "culturally constituted defense" to demonstrate how orthodox Jewish mourning prescriptions segment mourning into periods that correspond to natural phases of mourning—crisis, grief, and coming to terms with loss. The directives mandate conduct in keeping with the shifting needs of the work of mourning that evolve through these periods. Emotional conflicts that are issues in mourning, such as the sense of guilt over ambivalence toward the lost person (one of the most frequent problems that disrupt mourning and lead to pathological grief), are articulated in the dominant symbols in the prayers and ritual injunctions. 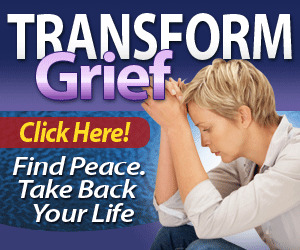 Thus, he suggests, mourning prescriptions help the bereaved person to deal with the needs of the work of mourning and to face the more difficult emotional issues that might otherwise lead to persisting emotional problems. For Freud (1917/1957, pp. 244-245), the heart of mourning is the "work of remembering": the task of going through one's memories of life with the lost person and accepting that life will henceforth be without the person. Among the Sora of eastern India, Piers Vitebsky, an anthropologist trained in psychoanalysis, goes even more deeply into the sequence of states the deceased goes through, as the deceased person—or the memory of him or her—is gradually detached from the world of the living. The different stages of this process make their "memories" into successively different kinds of presences for their surviving relatives—at first a presence whose nature depends on the way in which the person died, then a more generalized kind of presence. Vitebsky views this sequence of stages of dying not just as a "psychology of death," but as a "total interpretation of death," invoking the continued but gradually attenuated participation of the recently dead in the community (Vitebsky, 1993, p. 17); and he draws a parallel between this and the work of mourning as described by Freud. Spiro's "culturally constituted defense," or as he later generalized it "culturally constituted compromise formation," can be used to mediate between the cultural level and the individual psychic level. It may be used, for example, to describe the way in which Parintintin Indians of Brazil use food taboos—avoidance of certain foods by both parents during a woman's pregnancy, or when one's child is sick. Dreams which the Parintintin report show that their food avoidances represent ambivalent feelings toward the coming infant or toward a sick child, feelings which they cannot acknowledge openly to themselves; the food avoidances serve simultaneously as a way of expressing the ambivalence, and of expiating it (Kracke, 1990).